Aspens provide a fantastic service to students each and every break and lunchtime. Please follow the link to find the latest lunchtime menus. Aspens is the company chosen by Newark Academy to provide the meal service to our students. They specialise in providing catering to schools and colleges across the country. The food children eat at school plays an important role in their well-being—eating a well-balanced diet will not only maintain and improve their health, but will also set them on the right track for later life. We understand this and that’s why we are passionate about serving fresh, high quality and locally sourced food that is cooked in our kitchen. At Aspens, we take our responsibility of catering for today’s children and young adults seriously. All of our dishes are prepared everyday using quality, fresh and seasonal ingredients that are responsibly sourced. As well as ensuring the food on the plate is healthy, we want our customers to understand the importance of eating the right foods and help them with their food and nutrition journey. Don’t think that your child can’t enjoy our great food if they have a special diet—they are an important part of our catering service. We can provide food if they have an intolerance, an allergy or require an alternative choice due to religious beliefs. This is ideal for parents and students to check out what’s on offer for lunch with just a couple of presses on your smartphone. 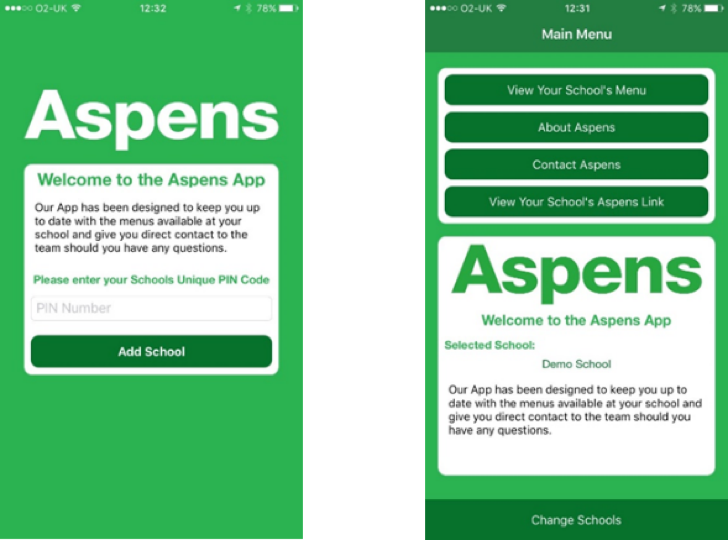 It’s simple enough—just search for the app at the App Store, install, add the unique PIN code relating to your particular school and you will be able to view the current menu. Aspens are experts in school catering and have years of experience when it comes to school food. If you have any questions about our service, or any special dietary requirements—please get in touch. You can contact us via email on info@aspens-services.com or call on 01905 759613. 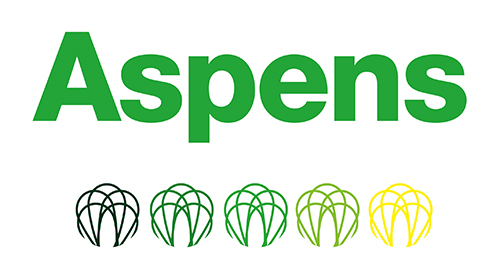 You will also find a host of information on our website: www.aspens-services.com.